Pony Creek County Park is located one mile West of Tustin on County Highway "H" along the West shore of Lake Poygan. The 16-acre park property has been leased to the County by the Wisconsin Department of Natural Resources since 1990. Facilities available include: shelterhouse, picnic tables and grills, restrooms, drinking water, sitting benches and canoe launch. There is no boat launch withing the park however, a developed boat launch is available south of Pony Creek Park on Badger Drive. Reservations are taken for use of the shelterhouse which offers spectacular views of Waushara County's largest lake. Pony Creek County Park has become a very popular fishing destination. This peninsula park has eighteen hundred lineal feet of shoreline fishing to provide opportunities for elderly, disabled and those which do not have access to a boat. The relatively deep water is easily accessed along most of the shoreline of the park. 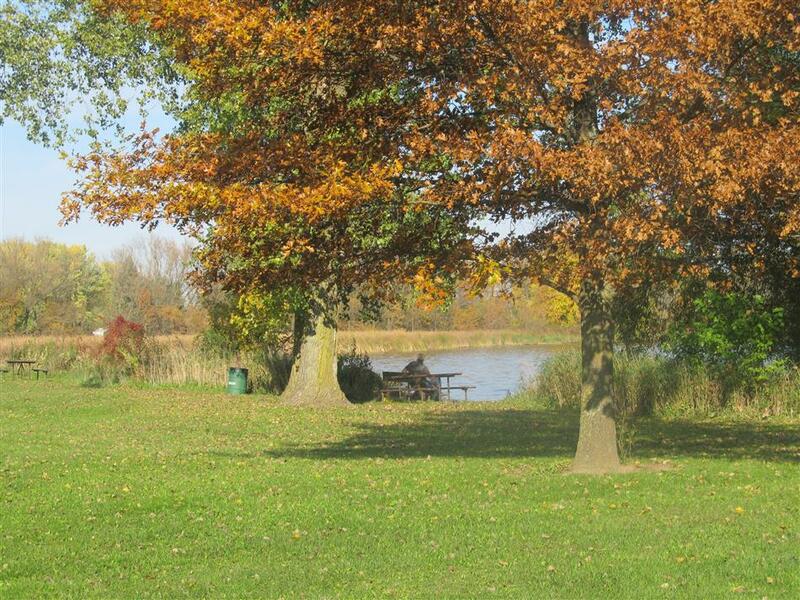 Pony Creek County Park is a great place to spend an afternoon fishing and relaxing.